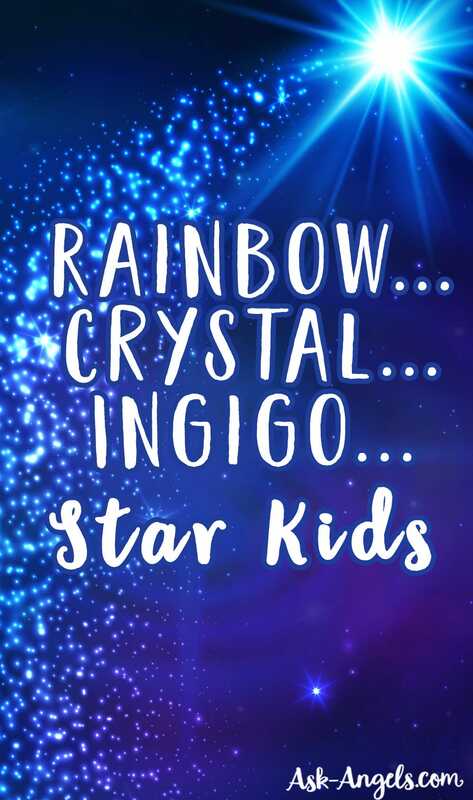 Understanding Crystal, Rainbow, and Indigo "Star Children"
Star Children- The New Energy Kids on Earth! As the Earth and Humanity continue to ascend into higher vibrational frequencies of love and light, entirely new possibilities are revealed, and the actual pace of the ascension process is accelerated. A beautiful example of this can be seen in the Crystal Children, Rainbow Children, and Indigo Children, who are otherwise known as Star Children, or New Kids! The New Kids (who aren't all kids anymore) are souls who are born into the physical realm while retaining many Divine qualities of light. They are children of the new energy who have unique characteristics and qualities. An easy way of looking at this phenomenon is that star children are being born with more of their Divine and spiritual technologies intact. They are coming into the earth plane with higher vibrational frequencies which serve to support them in their life missions of further elevating the vibrational frequency of humanity and of the planet. As humanity continues to ascend into living in alignment with love, the new kids are able to begin their life journey at a higher vibrational frequency. In other words they're able to be born while retaining more of their spiritual connection. 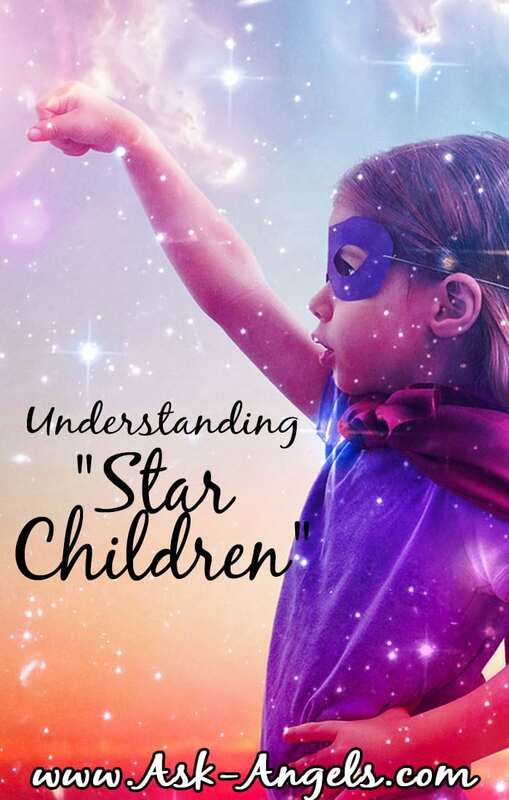 This connection and elevated frequency of Divine love and light manifests through the star children as characteristics, skills, and attributes which will help them in fulfilling their unique purposes on Earth. Purposes which are aligned with helping Earth and humanity to move out of the old paradigm of greed, control, fear, competition and stress, and into the new paradigm of love, manifestation, integrity, peace and cooperation. Crystal, rainbow and indigo children are spiritual beings from the higher planes and dimensions of existence, and they're here to help usher in an even high vibrational frequency. The New Kids are helping to elevate the vibration of Earth, and further progress the ascension of humanity and to do so they each have specific Divine attributes which shine through them, and they're often categorized, labeled, and grouped accordingly. These labels of the new energy kids aren't “incorrect”. As humans, we naturally want to classify, label and categorize, and you can find tons of lists and quizzes to help you identify the energy type of you or your children. These labels can help parents to understand their sensitive children and their unique needs, and can help children to understand why they feel different or feel like outsiders compared to many of their peers. But I also feel that the labels can be restrictive, and they really only scratch the surface of what is possible for the new kids to manifest when they step into their highest possible vibration. I think it would be wise for us to remember that a huge purpose for the children of the new energy is to help us all to live outside of the box… Not to try to fit them into the many boxes we as a society have created. I think it's hugely important to point out that there is no exclusion here, or some kind of magic that is available to crystal and indigo children that other children or adults cannot access. The new kids are simply lightworkers who have been born with more of their light intact, and the beautiful opportunity in this, which I haven't seen many people talking about… Is that once a new characteristic, trait, and frequency is experienced by ANYONE on the planet it can be experienced by ALL. The very traits that the new children are being born with, are immediately accessible by everyone who is willing to let go of the old paradigm and ascend into a new experience of living in alignment with the Divine and with love. The rainbow, indigo and crystal children are being born more and more aware of their connection to the Divine and awareness of their oneness with all. They're generally more intuitive, sensitive, telepathic, spiritual and compassionate beings… And through their being-ness, these traits become more easily accessible by all. As a collective, the purpose of the new kids is to awaken mass consciousness, bringing light, love, frequency, and positive change to the main stream so that everyone can remember the truth of who they are. The new kids are by example and through energy showing how we can all return to the experience of oneness with each other and with the Divine and spiritual realms. The exciting thing about the new kids, is not just that they're here to help on the planet, and that they have the energy and qualities to REALLY help… But that the very energy which empowers their light work on the planet is now available to everyone who is willing to let go of the old and with an open heart step into the new paradigm. The simple presence of the high vibrational indigo, rainbow and crystal children on Earth empowers others to elevate into these higher frequencies. Plus as the new energy kids grow up (as many already have), they they step into their power as leaders, healers, teachers, and scientists who have the potential to create huge changes on Earth both directly through their work, and indirectly through living in alignment with the realms of spirit and through consciousness. Through their energy, actions, and simply being here now, the indigo, rainbow, and crystal children are empowering the growth and ascension of all. P.S. Was this article helpful? 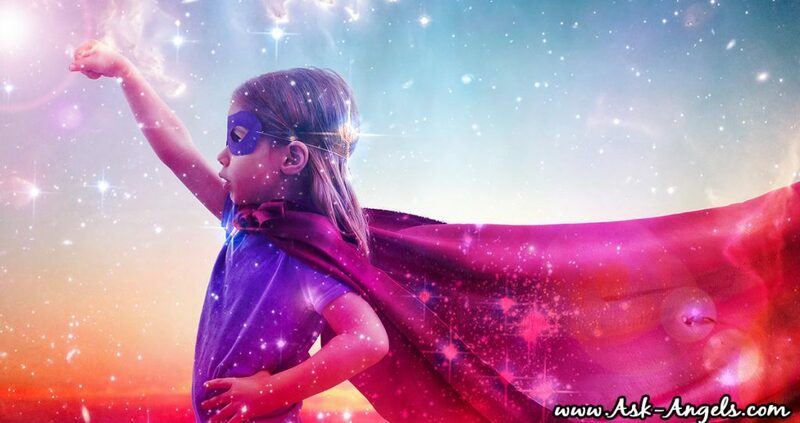 Do you have a “new energy kid” or are you a crystal, rainbow, or indigo? I love hearing from you… Be sure to leave a comment below or on facebook! Hi, i am very interested in your articles. I have a 5 year old named Willow that we know is a very special little girl. We organise MBS events so she has been bought up in a spiritual environment but is not overly so at home. She doesn’t understand what all these people, who love her so much do either, which i am planning on explaining to her this weekend when we are at work, in the hope it may help her feel like what she does and sees is normal. She is a very sensitive little soul too. She sobbed her heart out a couple of weeks ago when I explained that i had been to my friends grans funeral and she wanted to see pictures of her. She was truly heartbroken. We tell her that when people die they go up to the sky and watch over us. We have been told by different mediums, psychcs, native american healers that she was sent to us for a reason and is very special. We have known from her being little that she can see spirit, although now it is less evident as she seems to hide it. At a gathering last year we were walking through some woods and she kept looking behind us and speeding up….we didn’t see anyone there. She then took my hand and held it on her head and made me walk all the way back to our van with my hand on her head. I have been told that this was a way of her protecting herself? She was born profoundly deaf and wears implants throughout the day but this has caused her to be behind her peers although she has not let this affect her in any way. We suspect autism too but we are not interested in having this diagnosed as it will make difference to her schooling or upbringing. The one problem we have with little Willow is her sleeping. She will not sleep on her own or even with her 15 year old sister who she adores. She will only sleep with me and her dad and always has to have her foot or hand on at least one of us. I know I saw spirit when I was a child and had an irrational fear of the dark because of this but what can we do to help her? We have decorated her bedroom in the hope that she will sleep in there but she has asked for a tent to go over her bed so she won’t be scared. I have said I will get her one but she still says she will try when she is 6…..I know when she is 6 there will be another milestone she chooses to delay the transition. I hope you may have a little advice. I’ve had the blessing to know a few crystal children and I feel that im old soul and i still have a lot to learn. Both of my childen are every old soul and use their knowledge to the world. thank you for your knowledge and loving words. Beautiful Nicole… 🙂 No matter how far we each progress, there is always more to learn and grow… One step at a time. I listen to a radio show called Coast to Coast AM & called the show a few years ago (10-30-12) to speak with the two guests that were on the latter half of the show, called the ‘Ghostbuster Gals’ Ronnie Rennae Foster and Laura Lee Mistycah. My question to them was basically this: that I feel “things” or sense spirits sometimes & how to make it stop or go away? They basically answered that it would not “go away” & that I should find a way to embrace it, rather than shun this gift. Then one of them mentioned Indigo Children & if I had ever heard of them (I at that point had never heard the term before). Then she proceeded to say that I was probably an Indigo & should look into it. So, that’s exactly what I did. I have since done a lot of research on Indigo’s, Crystal, & Rainbow children. I feel the angels provided me with that tidbit of information to accelerate & direct my spiritual path. While researching Indigo’s, Crystal, & Rainbow’s, I also learned that I came in as an Indigo, but through spiritual pursuit & ascension I elevated into a Crystal as well. This site is awesome & I have really enjoyed the topics & spent the last several hours immersed in it. Thank you for your insights & for your work you are doing. Love & light. I Have known that I was different then my Sib’s but I didn’t know why do a many years . I actually thought that everyone was like me they just didn’t talk about it . So I didn’t . So at 59 I am . I am most diffentent Indigo . Gratitude for this. It’s an ascending spiral, is it not? Spirit is alive and well. Just let me tell you about my granddaughter chuckling on day 5 of her life. If that doesn’t open you to amazement, nothing will. I am a crystal child! I am a 24 year old female and whats weird is that I’m sitting here studying and my mind just happened to drift off, and I started to write down what was coming into my mind, like my relationship and how i should trust him, and myself, and have confidence, and then the words i am a crystal child just popped into my head. SO i came on here, remembering that you had posted something about this, and re-read it, this time it had a more profound impact! Gotta love life! !<3 thank you for this. I have 4 children. 2 boys 2 girls. I feel and believe all of them are indigo children. Their shine within is bright and beautiful and magnetic! I have a question tho. I have been absent from them all due to my drug addiction and depression. Its been a hard and sad time for all of us. I see the light that was bright at 1 time is not shining as it was within 3 of my kids. How can I help them get this back and help to feed back to them their gifts of greater beings? Besides the obvious of getting myself back together. Thank u.
I believe I am an Indigo we are the first of the star children I am a psychic medium (I talk to the dead) and very spiritual we are the ones that pave the path for the more sensitive Crystal and rainbow children . My Grandson Ryan is a Crystal Child. He is the youngest of three brothers. Ryan’s love for nature, crystals and helping people is amazing. He’s 7 years old. If I was to take Ryan shopping and allowed him to choose something ( say from Target or Big W ) there’s no interest what so ever, he won’t even look at the toys but he’ll ask me to take him to look at crystals. I was born in 1962 and ever since I can remember I’ve had a love and oneness with the universe. It’s a wonderful feeling being able to share this gift with my Grandson. i have a nephew who is 29 months, he is extremely intelligent, but some how now in these last 2 a 3 days become a bit anxious that he hits himself and now started biting. Help. It’s rather strange though because what he’s doing he’s dad (my brother ) did exact,y the same at he’s age. My brother is now 40. Wearing a blue kyanite necklace or pendant would offer him powerful psychic protection around the clock. Although he’s only 5 he’s very spiritually and psychically aware… You can talk to him about imagining a bubble of white light around him to protect and guard him in addition to the stones… Also he needs to know that he can call in his team of “angel protectors and guards”. This will block others energy from getting through (and release any density which has or does somehow attached). Ast night I was able to bring him back using crystals and all the angelic help I could ask for. He came back to me and says mummy I’m tired and I need the magic rocks to guard me. How do I protect him from these energies that are so obviously not his? My grandson is a rainbow child what has been born into a challenging situation. I am wondering how I can best support him to be his creative, brilliant self. My 1.5 yr old son is an indigo child. Is there anytjing I can do to help him sleep better. His energy is through the roof !! I also have a daughter who is a crystal child, total opposite of my don. I have always felt different my whole life. I never fit into the box. I still do not. When I was younger I never got along with my family. I was always running away from home. Throughout my adult life I have struggled with alcohol. My family that I was born into & the family that was born to me each have their issues, however, they always focus on mine and not theirs. As I progress into my acession I step away from their judgements and it does not bother me so much anymore. I have 3 grandchildren, the oldest is 6 yrs and he see’s a blue aura around my head. My other 2 grandchildren are still babies. When i was child i read about indigo kids and felt kind of related to them but not completely. Only this year i knew about crystals and rainbows, like you say labels can be restrictive, but they help us at the beginning of our search. I know now that i’m a starseed and some of my friends are too. I think many teenagers are crystal today, but they feel missunderstood so they shut down their special abilities, and many of them are struggling with drugs and alcohol. I hope society will be more open to the spiritual reality one day, so all kid would be able to develope their true beings. I’m sure at least one of my Great-grandchildren is one of these. She is deaf but has the kindest heart, generous soul I’ve seen. I have over 30 grandkids and over 35 Great-grandkids and there are quite a few that have these traits, but this one seems to stand out the most. She is 13 years old. Hi Melanie thanku for this beautiful article..I think im little different than the rest as im teacher and pranichealer but my fav subject is spirituality healing esp animals birds etc.im free soul and dont like to be chained so many times I feel very restless.My son who is just 3and half is I think indigo or crystal child He behaves at times like old soul and is a born healer.plz keep posting articles on these with special features of each catrgory.Thanks again. I have been told by 4 very highly enlightened and psychic/clairvoyant individuals that my son has a spiritual path and he is incredibly gifted. I don’t know what sort of category he would be in though. How do you find out? My elder daughter, Rachel, is a quiet, diligent and calm child. She’s turned 13 in January. My 2nd-born, a son, Christopher, is really connected to nature and simplicity like camping. He likes movies with “star-wars” lol. He will turn 13 this coming December. My 3rd-born, Ngaetu, has turned 8 this past April. Her name speaks for herself: it originates from Cook Islands which signifies “the two stars”. I am one. But I don’t know if I am crystal,indigo,or rainbow. How do I know?